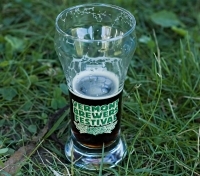 Running for over a decade, the Vermont Brewers Festival is a chance for brewpubs and microbreweries from Vermont, New York State, and New England as a whole, to showcase their craft brews. Set in the beautiful Waterfront Park, a tent village plays host to hundreds of litres of the regions finest. Entertainment, good food, and plenty of beer are the order of the day, celebrating not only America's Beer Month, but also the fact that Vermont has more breweries per capita than any other state. Specially printed tasting tickets are needed to sample the various offerings. The festival organisers invite pairs of brewers to team up to create unique beers for release during the festival. Stands selling delicious local food are available for the duration of the festival, and they open half an hour before the tasting tent to give visitors a chance to eat before the tasting begins. Festival organisers provide plenty of cold fresh water for tasters, and designated drivers are required to stamp their hands when entering, and won't be served beer by any vendors.